On Friday, Yale University signed an agreement with Peru over the disposition of objects removed from Machu Picchu nearly a century ago. The agreement, which will avoid continued litigation will create a joint Center for the Study of Inca Culture in Cusco, Peru. The center will preserve the artifacts, make the objects available for study and display, and promote research. This looks to be a beneficial agreement for all the parties involved. There will be a new joint research center in Cusco, pairing Yale University with the University of San Antonio Abad del Cusco. And though the objects will no longer be in Connecticut, the objects will be available for future study, and will still be cared for. And finally, Peru’s suit against Yale is no longer necessary to resolve the dispute. A memorandum of understanding was created in November, but Peru had backed out of agreements in the past with Yale. This time though, the dispute looks to be resolved for good. Since Yale and Peruvian officials signed a Memorandum of Understanding outlining the return of the objects last November, both sides have been eager to underscore the goodwill between the two parties. The document, they say, allows Peru and Yale to move beyond the mistrust that has often characterized their interactions over the century-long struggle — it has eliminated any underlying disagreement. For the most part, the two sides agree. Peru will repatriate thousands of pieces. Some will arrive in time for the centennial this July; the rest will be in Peru by December 2012. But there remain aspects about which Yale and Peru tell very different stories. For instance, how the pieces came to stay in New Haven for so long, and why, after nearly a decade of bickering, Yale simply offered to cede them to Peru. Sarah Nutman, Yale and University of Cusco sign collaboration agreement, Yale Daily News, February 11, 2011, http://www.yaledailynews.com/news/2011/feb/11/yale-and-university-cusco-sign-collaboration-agree/ (last visited Feb 14, 2011). Sarah Nutman, Returning to Machu Picchu, Yale Daily News, February 14, 2011, http://www.yaledailynews.com/news/2011/feb/14/returning-to-machu-picchu/ (last visited Feb 14, 2011). Yale has announced objects from Machu Picchu will be returned to Peru, and that an agreement is being “formalized”. It seems the objects will return to Peru early next year, which will bring an end to the ongoing lawsuit brought by Peru. Hopefully the two sides have reached a mutually beneficial compromise, and an agreement is close. But remember, an agreement has been announced before. Sen. Chris Dodd has weighed in on the dispute between Yale and Peru over objects removed by Hiram Bingham from Peru during the early part of the 20th century. Bingham brought widespread attention to Machu Picchu during a serious of expeditions, and he returned home with many objects, which have been in the possession of Yale, despite what Peru claims was an agreement to return those objects. Yale has offered to provide material and financial support for research in Peru in exchange for a traveling exhibition and continued lease of the objects, however that agreement fell through and Peru has sought relief in federal Court. For background on this dispute, see these posts. John Christoffersen, Senator Christopher Dodd Says Artifacts Held by Yale Belong to Peru, http://www.artdaily.org/index.asp?int_sec=2&int_new=38572 (last visited Jun 15, 2010). In Peru, Dodd Works to Mediate Dispute Over Machu Picchu Artifacts | U.S. Senator Christopher J. Dodd, (2010), http://dodd.senate.gov/?q=node/5658 (last visited Jun 15, 2010). Cultural Property Observer, Connecticut Senator Sides with Peru Against Yale Cultural Property Observer (2010), http://culturalpropertyobserver.blogspot.com/2010/06/connecticut-senator-sides-with-peru.html (last visited Jun 15, 2010). Peru has decided not to allege fraud and conspiracy claims against Yale University in its lawsuit over objects removed from Machu Picchu in the early part of the 20th century. One of the main points of contention in the dispute is whether this action is timely. It surely would have if brought soon after the objects were removed, but Peru will either have to justify waiting decades to bring a claim, or convince a court that Peruvian law applies—perhaps under the lex originis rule. For background on the dispute see these posts. The withdrawal of some claims comes after Peru hired new lawyers who said the move would simplify the case and “facilitate resolution” of the dispute. Yale’s lawyers had warned that the claims violated civil procedures prohibiting frivolous arguments. The fraud allegations that were withdrawn accused Yale of intending to deceive Peru by promising to return the artifacts and conspiring with Bingham to retain the artifacts unlawfully by fraudulently assuring that Yale would return the artifacts when Peru demanded. “Peru has dropped all claims of Yale having intentionally done anything wrong,” said Jonathan Freiman, Yale’s attorney. “We’re glad that they have done so, but we think the rest of the case is equally misguided and should be withdrawn, as well.” . 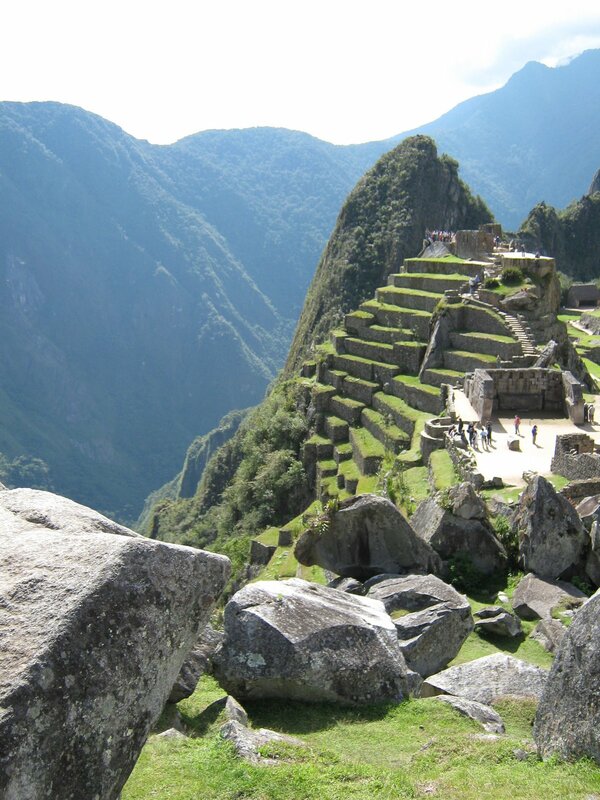 . .
John Christoffersen, Peru lifts some Machu Picchu claims against Yale, AP, March 10, 2010 (last visited Mar 10, 2010). I get dozens of requests every month from students and arts professionals wondering what career opportunities exist for the protection or preservation of cultural heritage. There are not yet all that many opportunities, but that is changing. In support of the MOU, the Embassy promotes an internship program for American graduate students of museum studies and conservation programs to be held from July through August 2010.The objective of this program is to enable well-qualified graduate students the opportunity to do field research in Lima, Arequipa and Lambayeque. It will also support museums that house rich art collections, but are greatly in need of skilled professionals. These internships will provide an excellent opportunity for Peruvian and American colleagues to exchange ideas on new techniques related to conservation, marketing, and exhibition planning, with long-term possibilities for collaboration. Please find more information here. On Tuesday the FBI announced it was returning 150 pre-Columbian artifacts which had been smuggled out of Peru and Ecuador. The objects were found in the home of a recently deceased man, who had apparently been a collector of the antiquities. The 153 pieces of jewelry as well as pottery, baskets, sculptures and figurines were found last April in the home of a man after he died in his retirement community in Avon Park, Florida, according to the bureau’s Miami field office. Experts indicated that the artifacts, presented in a Miami ceremony to representatives of the Peru and Ecuador governments, were between 500 and 3,200 years old, the Federal Bureau of Investigation said. 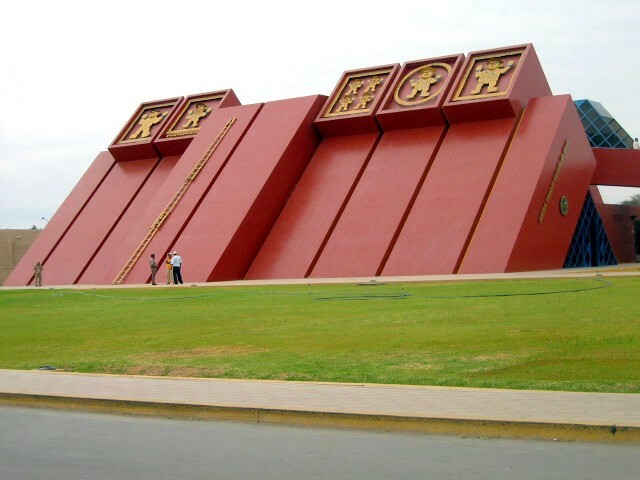 The FBI teamed up with specialists from Florida International University who determined that 141 of the pieces originated in what is present-day Peru, and the other 12 came from neighboring Ecuador. “These artifacts represent the cultural heritage of Peru and Ecuador. They can never be replaced and should be on display for many to see, not locked away,” said the FBI’s chief agent in Miami, John Gillies. “We are honored to return these items to their rightful owners,” Gillies added. These announcements have become almost routine, with an estimated 2,600 items recovered just since 2004. AFP: FBI returns smuggled artifacts to Peru, Ecuador, Dec. 1, 2009. Pierre Konowaloff, the descendant of a Russian aristocrat who once owned the painting, claims it is rightfully his because the Soviet government expropriated it from his family in 1918. The Soviet government seized “The Night Café” from Konowaloff’s great-grandfather Ivan Morozov as part of the government’s mass nationalization of private property in the early 20th century. Konowaloff claims this constitutes a theft, delegitimizing any subsequent sale or purchase. Therefore, Konowaloff claims, Stephen Clark 1903, who bequeathed the painting to Yale in 1960, never actually owned it. Clark was a trustee of the Museum of Modern Art and the Metropolitan Museum of Art. In the early 1930s, he acquired the painting from the Knoedler Gallery in New York City, which had purchased it from the Matthiesen Gallery in Berlin, Germany; it was the Matthiesen Gallery that originally bought the painting from the Soviets. Yale first responded to Konowaloff’s claims of ownership in May 2009, filing a lawsuit to assert the University’s ownership. Konowaloff responded with a counterclaim in March 2009, requesting the return of the painting and over $75,000 in damages. Yale’s Oct. 5 motion argues that “it is well-established that a foreign nation’s taking of its own national’s property within its own borders does not violate international law,” and that the Soviet government’s original acquisition — and also Yale’s subsequent acquisition — of the painting was legal. The motion also argues that Konowaloff’s claim came too late, since the statute of limitations for a dispute of ownership of this nature would have expired in the 1960s, three years after Yale publicized its acquisition of the painting. In the case of the Inca artifacts, Yale is arguing it first gained control of the items when they arrived in New Haven in the 1920s, describing them in several Yale publications as part of the museum’s permanent collection. Nora Caplan-Bricker, Yale moves to drop museum suits, Yale Daily News, October 27, 2009. This kind of grassroots organizing — where local officials, police officers and archaeologists join forces with local residents — is the best way to combat looting and protect sites from being swallowed up by the illicit antiquities trade. A similar strategy has proved effective in Mali, a country that has little in common with Peru besides a rich archaeological heritage. It would work in Iraq and elsewhere. Surprisingly, though, relatively few governments have focused on getting rural people involved in protecting threatened sites. Most spend their energy pressing museums in the United States or Europe to repatriate looted artifacts, instead of focusing on safeguarding the archaeological riches still in the ground. Repatriation is a valuable goal, but an immense amount of historical information is lost whenever looting occurs and sites are damaged, even if the objects are later recovered. The government’s time would be better spent expanding the patrols to prevent looting in the first place. "Peru is rightful owner of artifacts"
So argues former First-Lady of Peru Eliane Karp-Toledo in an Op-Ed today in the Miami Herald (for a brief discussion of another Op-Ed in the NY Times, see here). She discusses the ongoing dispute between Yale and Peru over objects taken from Peru by Hiram Bingham, and effectively communicates Peru’s position—and only their position. Though I think it is reasonable to criticize some of the actions of Yale University since they have held the objects, Karp-Toledo does her argument a disservice I think by ignoring some very real and well-founded differences of opinion between Yale and Peru. For example, she argues “Many years of frustrated negotiations, and Yale’s presentation of an insensitive ‘Memorandum of Understanding’ in 2007, finally led the Republic of Peru to file a lawsuit against Yale in the District Court for Washington, D.C., in December 2008.” Yet I’m not really sure how that memorandum was “insensitive”; nor does Karp-Toledo really tell us why. That agreement, now apparently abandoned, aimed at creating a kind of lease which would have created a collaborative relationship between Yale and Peru. It would have been similar in form perhaps to the agreements Italy has been promulgating with many institutions forced to return looted antiquities. Peru would have received title to all the objects, with many remaining in Connecticut. There would have been an international traveling exhibition, and proceeds would help build a much-needed new museum and research center in Cuzco. Yale also would have provided funds to establish a scholarly exchange program. As Yale president Richard C. Levin said at the time, “We aim to create a new model for resolving competing interests in cultural property,… This can best be achieved by building a collaborative relationship — one which involves scholars and researchers from Yale and Peru — that serves science and human understanding.” I’m afraid I don’t see how this arrangement was “insensitive”. The doors were open to the air, which was moist from the nearby river, and the sole official was a caretaker who sold tickets and then exited the building. On display in the attractive (if unguarded) museum are the finds that Peruvian archaeologists have made at Machu Picchu in the years since Bingham’s excavations. I think it is worth asking at this point, how much of the ongoing dispute is a product of the effort to continue the Indigenous rights movement in Peru, irrespective of whether it is actually creating a better place to display these objects, and display them to the public—whether that is in the US or Peru? I think that collaboration is a far better model, but I’m not sure Karp-Toedo has provided and argument which would call for zero collaboration. Instead she seems eager to punish Yale and Hiram Bingham for taking Peru’s heritage. A claim I think which is not supported by the facts as we know them. Though there are certainly indications that these objects should have been returned to Peru long ago, they were not, perhaps because of intervening events (America’s involvement in WWI may have provided a distraction), neglect, negligence or even bad faith. 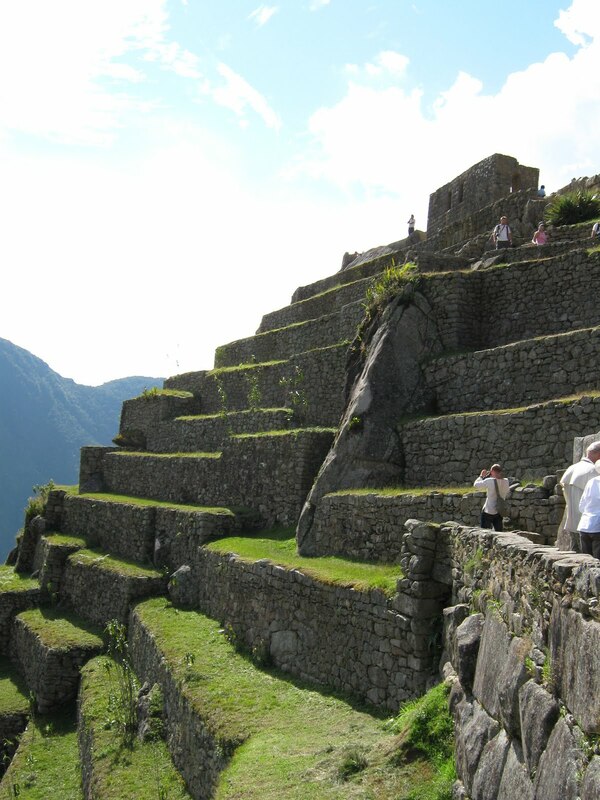 Author Derek FinchamPosted on June 8, 2009 Categories AntiquitiesTags Machu Picchu, Peru, Yale UniversityLeave a comment on "Peru is rightful owner of artifacts"